I teach Marine Conservation to undergraduate and post graduate students at Plymouth University. I love teaching and I try to encourage my students to see why plankton are key ecosystem indicators, to develop an understanding of the practical policy process, and to understand how and why scientific research should be applied and used in a policy and conservation context. I’m a marine conservation ecologist whose research focuses on the generation of national and international impact through the integration of scientific results into the policy process. My key areas of interest are the separation of climate responses in the plankton from those due to anthropogenic disturbances, ecosystem responses to the combined effects of policy measures and climate change, and the linking of ecological changes to manageable human pressures. I actively create impact through science-policy knowledge exchange, working closely with policy makers at the UK, European and international levels, to deliver policy informed by sound scientific evidence. I am leading the UK’s and OSPAR’s implementations of the Marine Strategy Framework Directive for pelagic habitats, which includes the coordination, development and management towards operationalisation of pelagic indicators and environmental targets. This work is a direct response to UK and EU policy needs and is required by EU and UK decision makers to support marine management and conservation; I hold a NERC Fellowship to fund this impact work. 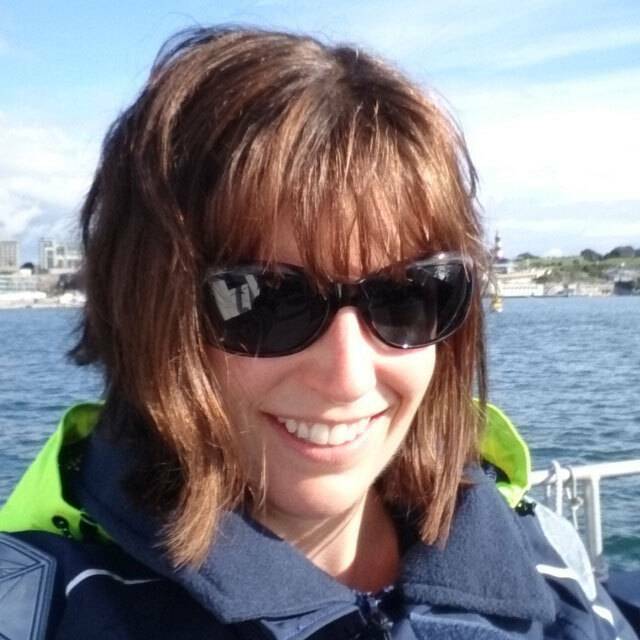 I am the PI of the Plankton and Policy Research Group which focuses on applying and implementing marine conservation policy in the UK and Europe, with an emphasis on planktonic systems. At www.planktonpolicy.org you can learn about our ecological research , outreach activities , policy work , and my NERC KE Fellowship activities . • £3,000Defra: Formulation of UK pelagic habitats monitoring options. 2017 • £70,000 NERC: Knowledge Exchange Fellowship: Plankton science for supporting theimplementation of marine ecosystem-based management and conservation. • £12,500 Defra: Chairing of UK plankton expert group for Marine Strategy FrameworkDirective. 2016 • £2,400 Defra: Assessment of UK plankton for Marine Strategy Framework Directive. • £2,500 Plymouth University: Are Plymouth Sound phytoplankton in Good Environmental Status? Towardsthe assessment of biodiversity in a human-impacted conservation area. 2015 • €146,000 EMFF: Applying an ecosystem approach to (sub) regional habitat assessments(EcApRHA). • £2000 NERC: Anniversary Ambassador. 2013 • €76,000 INTERREG: Promoting effective governance of the Channel ecosystem (PEGASEAS). • £108,269 NERC: Knowledge Exchange Fellowship: Interpreting and targeting NERC-fundedresearch outputs to inform and influence marine policy. • £8,000 Defra: MSFD Pelagic Habitats Indicator and Target Researchand Development. • £10,225 Defra: MSFD Pelagic Habitats Expert Team leadership for UKand OSPAR. Contract reviewed and extended 6-monthly. • €10,000 EMODNET Biological Traits pilot project: Plankton Biological Traits. 2012 • €100,000 EU European Marine Observation Data NETwork (EMODNET) Biology: Provision of CPRdata products and scientific advice on data application for implementation ofthe Marine Strategy Framework Directive (MSFD). • £9,710 Defra: MSFD Pelagic Habitats Team Leadership for UK andOSPAR. • £5,220 Defra: R&D project to operationalise MSFD indicators andtargets. 2011 • £8,993.19 EMODNET Biology: Provision of CPR data products and maps. • £19,736 National Marine Biological and Analytical Quality ControlScheme (NMBAQC): Employment of the technical secretariat at SAHFOS. Contractrenewed annually. The publication list is separated into two categories: Scientific papers in peer-reviewed journals (published) and policy publications. I have published 34 papers in international journals (with total Impact Factor [IF] =151), and multiple high impact policy publications. As of August 2018 my work has been cited 1535 times, my h-index is 18 and my i10 index is 26. Budria, A., Aubert, A., Rombouts, I., Ostle, C., Atkinson, A.,Widdicombe, C., Goberville, E., Artigas, F., Johns, D., Padegimas, B.,Corcoran, E. and McQuatters-Gollop, A.,(2017). Cross-linking plankton indicators to better define GES of pelagichabitats EcApRHA Deliverable WP1.4. OSPAR, London, UK, 54. Ostle, C., Artigas, F., Atkinson, A., Aubert, A., Budria, A.,Graham, G., Helaouët, P., Johns, D., Padegimas, B., Rombouts, I., Widdicombe,C. and McQuatters-Gollop, A.,(2017). Spatial Representivity of Plankton Indicators EcApRHA DeliverableWP1.3. OSPAR, London, UK, 28. Aubert, A., Rombouts, I., Artigas, F., Budria, A., Ostle, C.,Padegimas, B. and McQuatters-Gollop, A.,(2017). Combining methods and data for a more holistic assessment of theplankton community EcApRHA Deliverable WP1.2. OSPAR, London, UK, 42. Ostle, C., Artigas, F., Aubert, A., Budria, A., Graham, G.,Johansen, M., Johns, D., Padegimas, B., Rombouts, I., and McQuatters-Gollop, A. (2017). Programming outputs for constructingthe plankton lifeform indicator from disparate data types EcApRHA DeliverableWP1.1. OSPAR, London, UK, 30. ICES, (2015). Report of the Working Group on Biodiversity Science(WGBIODIV), 9–13 February 2015. ICES, ICES Headquarters, Copenhagen, Denmark, p.308. Skinner, J., Bailly, D., Le Coz, M., Dodds, W., Fletcher, S., Glegg, G.,Glenn, H., Herry, L., Molfese, C., Sewell, J. and McQuatters-Gollop, A., (2014). Pathways for effective governance ofthe English Channel. Sir Alister Hardy Foundation for Ocean Science, Plymouth,UK, p. 50. ICES, 2014. Second Interim Report of the Working Group on BiodiversityScience (WGBIODIV). ICES, Copenhagen, Denmark, p. 44. Scherer, C., Gowen, R.J., Tett, P., McQuatters-Gollop,A., Forster, R., Bresnan, E., Cook, K., Atkinson, A., Best, M., Baptie, M.,Keeble, S., McCullough, G., McKinney, A., (2014). Finalising and implementing thedevelopment of plankton indicators and targets: Operationalising the Lifeformand State Space Method. Workshop report to Defra. Agri-food and BiosciencesInstitute, Belfast, p. 32. Scherer, C., Gowen, R.J., Tett, P., McQuatters-Gollop, A.,Forster, R., Bresnan, E., Cook, K., Atkinson, A., Best, M., Baptie, M., Keeble,S., McCullough, G. and McKinney, A., (2014). Development of a UK IntegratedPlankton Monitoring Programme: A final report of the Lifeform and State Spaceproject, prepared for Defra. Agri-food and Biosciences Institute, Belfast, 450pp. Gowen, R.J., Tett, P., McQuatters-Gollop,A., Forster, R., Scherer, C., Bresnan, E., Cook, K., Atkinson, A., Best,M., Baptie, M., Keeble, S. and McCullough, G., (2013). Part One of the UK MarineStrategy for the Marine Strategy Framework Directive: Plankton indicators:Development of the Life-form and State-Space Method. Defra, Belfast, 27 pp. McQuatters-Gollop, A. and Johns, D., (2012). Scotland’s BiodiversityIndicator – Plankton. Scottish Natural Heritage, 8 pp. McQuatters-Gollop, A., Johns,D.G., Dowland, P., Edwards, M. (2011).Digitization, analysis and interpretation of plankton data for pre-1914 ICESsampling in the North Sea and adjacent waters: final report March 2011. SAHFOS,Plymouth, 20 pp. Gowen, R.J., McQuatters-Gollop, A., Tett, P., Best, M., Bresnan,E., Castellani, C., Cook, K., Forster, R., Scherer, C. and Mckinney, A., (2011).The Development of UK Pelagic (Plankton) Indicators and Targets for the MSFD.Advice to Defra. Belfast, UK, 41 pp. Moffat, C, Aish, A.,Hawkridge, J.M., Miles, H., Mitchell, P. I., McQuatters-Gollop, A., Frost, M., Greenstreet, S., Pinn, E.,Proudfoot, R., Sanderson, W. G., & Tasker, M. L. (2011). Advice on United Kingdom biodiversityindicators and targets for the Marine Strategy Framework Directive. Healthy and Biologically Diverse SeasEvidence Group Report to the Department for Environment, Food and RuralAffairs. 207pp. Celine Byrne (with Abigail McQuatters-Gollop), (2011). Anew addition to the online offering: ICES Historical Plankton Dataset, ICESInside Out vol 5. ICES, Copenhagen, pp. 1. Johns, D.G. and McQuatters-Gollop, A., (2011). Natural HeritageTrends – Plankton in the seas around Scotland – 2010 update. Scottish NaturalHeritage, 5 pp. McQuatters-Gollop, A. ,Burkill, P., Beaugrand, G., Edwards, M., Gattuso, J.-P. and Johns, D.G.,(2010). Atlas of Calcifying Plankton: Results from the Continuous PlanktonRecorder Survey. SAHFOS, Plymouth, UK, 20 pp. McQuatters-Gollop, A., Edwards, M., Reid, P.C. and Johns, D., (2010). Amarine assessment and monitoring framework for application in UKMMAS and OSPAR,for phytoplankton and zooplankton. Report to the Joint Nature ConservationCommittee from the Sir Alister Hardy Foundation for Ocean Science. SAHFOS,Plymouth, 44 p.
Edwards, M., Beaugrand, G., Johns,D.G., Licandro, P., McQuatters-Gollop, A. and Wootton, M., (2010).Ecological Status Report: results from the CPR survey 2009. SAHFOS TechnicalReport, 7: 1-8. Reid, P.C., Edwards,M., McQuatters-Gollop, A.,Beaugrand, G., Bresnan, E., Brierley, A., Davidson, K., Delany, J., Eloire, D.,Forster, R., Fox, C., Frederiksen, M., Gowen, R., Halliday, N.,Hardman-Mountford, N., Hátún, H., Hay, S., Hartman, S., Helaouët, P., Johns,D., Kirby, R., Lampitt, R., Larkin, K., Licandro, P., Lindley, A., Lucas, C.,McCollin, T., Miller, P., Milligan, S., Mills, D., Pitois, S., Prior, A., Rees,A., Smyth, T., Smythe-Wright, D., Stevens, D. and Widdicombe, C., (2010).Biological indicators of state: the plankton, Charting Progress 2: AnIntegrated Assessment of the State of UK Seas. Defra, London, UK, 69 pp. Edwards, M., Heath, M. and McQuatters-Gollop,A., (2010). Plankton, MCCIP Annual Report Card 2010-11. MCCIPScience Review, pp. 10. Langmead, O., McQuatters-Gollop,A., Mee, L.D., (2010). The socioeconomics behind ecosystemcollapse: the case of the Black Sea. Science for Environment Policy: DGEnvironment News Alert Service, Special Issue 22: 1. McQuatters-Gollop, A. , (2009). Regionalpolicies needed to tackle eutrophication in Europe’s seas. Sciencefor Environment Policy: DG Environment News Alert Service, 154: 1. McQuatters-Gollop, A. ,Johns, D. and Edwards, M., (2009). The Continuous Plankton Recorder. Exploringthe Marine Environment. Bulletin of the British Ecological Society 2009, 40:10-11. Edwards,M., Beaugrand, G., John, A.W.G., Johns, D.G., Licandro, P., McQuatters-Gollop,A. and Reid, P.C., (2009). Ecological Status Report: results from the CPRsurvey 2007/2008. SAHFOS Technical Report, 6: 1-12 . Reid, P.C., Bathmann, U.,Batten, S.D., Brainard, R.E., Burkill, P.H., Carlotti, F., Chiba, S., Conversi,A., Dickson, R.R., Dooley, H., Edwards, M., Flinkman, J., Fukuchi, M., Goes,J., Goni, G., Greene, C.H., Hare, J.A., Hays, G.C., Head, E., Hood, R.R.,Hosie, G., Hunt, B.P.V., John, A.W.G., Jonas, T.D., Jossi, J.W., Karlson, B.,Kuh Kim, Kirby, R.R., Kitchener, J., Kobayashi, D., Lakkis, S., Llope, M.,Lopes, R.M., MacDiarmid, A., McQuatters-Gollop, A., Malone, T.,Matondkar, P., Muxagata, E., Pershing, A., Richardson, A.J., Robertson, D.,Robinson, K., Sartimbul, A., Stenseth, N.C., Sugisaki, H., Stevens, D., Berghe,E.V., Verheye, H., Vezzulli, L. and Ward, P. (2009). A Global ContinuousPlankton Recorder Programme, OceanObs09, Venice, Italy, pp. 12. Reid,PC, Cook, EJ, Edwards, M, McQuatters-Gollop,A, Minchin, D and McCollin, T (2009) Marine non-native speciesinMarine Climate Change Ecosystem Linkages Report Card 2009. (Eds. Baxter JM,Buckley PJ and Frost MT), Online science reviews, www.mccip.org.uk/elr/non-natives , 28pp. McQuatters-Gollop,A. (2008). Harmful Algal Blooms andfishery product safety. FAO. 10 pp. McQuatters-Gollop,A. , Johns, D.G., Halliday, N. and Edwards, M.,(2008). Fish Larvae Project: Progress Report Contract MF1101.SAHFOS/Defra/Cefas, Plymouth, 28 pp. McQuatters-Gollop, A. ,(2008). Climate exacerbates eutrophication in the North Sea. MarbefNewsletter, 8: 17-18. McQuatters-Gollop, A. ,(2007). The synergistic effects of climate and eutrophication in the North Sea.GLOBEC International Newsletter, 13: 10-11. McQuatters-Gollop, A. ,Raitsos, D.E., Edwards, M., Pradhan, Y., Mee, L.D., Lavender, S.J. and Attrill,M.J., (2007). Climate exacerbates eutrophication in the North Sea. IMBERUpdate, 7: 3:4. McQuatters-GollopA. , and L.D. Mee. (2007).Eutrophication in the Black Sea, p 20. World Resources Institute. Reid, P.C., A.McQuatters-Gollop, D. Johns and M. Edwards (2007). Macroscale patterns inphytoplankton and Harmful Algal Blooms in UK waters based on ContinuousPlankton Recorder data. UK Environment Agency contract report. Edwards, M. , Reid, P.C.,McQuatters-Gollop, A., Helaouet,P., Kirby, R. and Frederiksen, M., (2008). Indicator review for pelagicecosystems (phytoplankton and zooplankton): Report to the Healthy andBiologically Diverse Sea Evidence Group (HBDSEG). Sir Alister Hardy Foundationfor Ocean Science, Plymouth, UK, 22 pp. Langmead, O., A.McQuatters-Gollop and L.D. Mee (Eds.). (2007). European Lifestyles andMarine Ecosystems: Exploring challenges for managing Europe’s seas. 43pp.University of Plymouth Marine Institute, Plymouth, UK. Delivering good environmental status: an ecosystem approach , Australian Marine Sciences Association, Geelong, Australia, 2015. Delivering the ecosystem approach – a European perspective , Marine Strategy Framework Directive (EU) and the Great Barrier Reef Long-Term Sustainability Plan (GBRWHA) workshop, hosted by the Great Barrier Reef Marine Park Authority and Australian Institute for Marine Science, Townsville,Australia, 2015. Pathways towards effective Channel governance , Pathways towards effective Channel governance launch event, House of Commons, UK Parliament, Westminster, London, 2014. The role of plankton time-series in managing our seas in a climate of macroecological change , PICES 2014 Annual Meeting: Toward a better understanding of the NorthPacific: Reflecting on the past and steering for the future, Yeosu, Korea, 2014. Using science to inform marine policy: a case study of marine ecosystem monitoring in the UK , Towards the better collaboration between scientists and policy makers, University of Tokyo, Japan, 2014. Challenges for managing our seas in a climate of macroecological change . P/ICES Oceans of Change, Majorca, Spain,2012. Is there a decline in marine phytoplankton? , Plankton 2011 : Biodiversity and Global Change , Plymouth, UK, 2011. Challenges for managing our seas in a climate of macroecological change: messages from the plankton , Prospectus for UK Marine Science for the Next 20 Years: A Joint Project by The Challenger Society for Marine Science and the UK Scientific Committee on Oceanic Research, Royal Society, London, UK,2011. Implications of large-scale ecological change for managing UK seas , How can we manage our seas in the real world? Organized by Plymouth Marine ciences Partnership in collaboration with the Marine Management Organisation, Plymouth, UK, 2011. From evidence to policy: developing biodiversity indicators for marine conservation , National Institute of Oceanography Seminar Series, Goa, India, 2017. Large scale plankton shifts in the North Atlantic in relation to climate change , Cross-disciplinary workshop on drivers of decline in Atlantic puffins and other species with related feeding ecology in the North Atlantic, Reykjavik, Iceland, 2017. From evidence to policy: developing biodiversity indicators for marine policy , Japan Agency forMarine-Earth Science and Technology (JAMSTEC) seminar series, JAMSTEC,Yokohama, Japan, 2016. From data to decisions: creating impact through policy , Plymouth University Research Impact Conference, Plymouth, University, Plymouth, UK, 2016. From evidence to policy:developing biodiversity indicators for the MSFD , PML Invited Speakers Seminar Series, Plymouth, UK, 2016. From evidence to policy:developing biodiversity indicators for the MSFD , Interdisciplinary Centre for Conservation Science, Oxford University, Oxford, UK, 2016. From evidence to policy:developing biodiversity indicators for the MSFD , UNEP World Conservation Monitoring Centre, Cambridge, UK, 2016. Challenges for developing policy indicators in a climate of macroecological change ,University of Queensland, Australia, 2015. Challenges for developing policy indicators in a climate of macroecological change , Central Queensland University, Australia, 2015. From data to decisions, using NERC science in policy , NERC Knowledge Exchange Network Conference, Leicester, UK, 2015. The benefits of crossing the science-policy interface , NERC Fellows Conference, Birmingham, UK, 2015. Update on SW plankton , South West Marine Ecosystems, Plymouth, UK, 2015. The role of plankton time-series in managing our seas in a climate of macroecological change , Swire Institute for Marine Science Hong Kong University, Hong Kong, 2014. Understanding large-scale change: Insights from the Continuous Plankton Recorder time-series , Japan Agency for Marine-Earth Science and Technology (JAMSTEC) seminar series, JAMSTEC, Yokohama, Japan, 2014. Understanding large-scale change: Insights from the Continuous Plankton Recorder time-series , Fisheries Research Agency of Japan seminar series, Fisheries Research Agency, Yokohama, Japan, 2014. Understanding planktonic systems: Update & links to MSFD , Coastal Futures, London, UK, 2014. Challenges for managing our seas in a climate of macroecological change , Marine Biology and Ecology Invited Seminar Series, Plymouth University, UK, 2014. Phytoplankton response to global change , Coastal and Estuarine Research Foundation Biennial Conference: Toward Resilient Coasts & Estuaries, Science for Sustainable Solutions, San Diego, CA, USA, 2013. Informing policy in the SW: the Marine Strategy Framework Directive (MSFD) , Natural England Marine Conference, Plymouth, UK, 2013. Challenges for implementingthe MSFD in a climate of macroecological change , Plymouth University Marine and Coastal Policy Research Group Invited Speakers Seminar Series, Plymouth, UK, 2013. Global Patterns of Phytoplankton Dynamics in Coastal Ecosystems, Plymouth Celebrates SCOR, Plymouth, UK, 2013. Informing policy in the SW:links to pelagic habitats in the Marine Strategy Framework Directive (MSFD) , Southwest Marine Ecosystems, Plymouth, UK, 2013. Challenges for managing our seas in a climate of macroecological change, University of Sheffield Dept. of Animal and Plant Sciences Invited Speakers Seminar Series, Sheffield, UK, 2012. Challenges for managing our seas in a climate of macroecological change, NOC Invited Speakers Seminar Series,Southampton, UK, 2012. Challenges for managing our seas in a climate of macroecological change , PML Invited Speakers Seminar Series,Plymouth, UK, 2012. Why is it so hard to set MSFD targets? , EU Marine Observation and Data Expert Group - 16th meeting, Brussels,Belgium, 2012. Plankton Response to Global Change , Oceans 2025: Science of the Blue Planet, London, UK, 2011. Biological indicators across heterogenous datasets , EU Marine Observation and Data Expert Group - 10th meeting, Brussels, Belgium, 2010. From evidence to policy: developing biodiversity indicators for the MSFD , ChallengerConference for Marine Science - Oceans and Climate, Liverpool, UK, 2016. From evidence to policy: developing biodiversity indicators for the MSFD , ICES Annual ScienceConference, Riga, Latvia, 2016. Enhancing Student Learning and Participation Interactively through the use of Clickers in Science and Engineering , at VC's Teaching and Learning Conference, Plymouth University,Plymouth, UK, 2016. Challenges for developing pelagic indicators and setting meaningful targets in a climate of ecological change ,ICES Annual Science Conference, Copenhagen, 2015. Challenges for developing policy indicators againsta background of macroecological change , Promoting Effective Governance ofthe Channel Ecosystem , Caen,France, 2014. Challenges for developing policy indicators in a climate of macroecological change , 2nd Marine and Coastal Policy Forum, Plymouth University, UK, 2014. Informing policy in the Western Channel: links to pelagic habitats in the Marine Strategy Framework Directive (MSFD) , Marinexus final meeting, Plymouth, UK, 2014. Good Environmental Status and the plankton: combining disparate datasets to assess pelagic habitats at national and regional scales , ICESAnnual Science Conference, Reykjavik, Iceland, 2013. Why is it so hard to set MSFD indicators and targets? Messages from the plankton , Challenger Conference for Marine Science: Ocean Challenges in the 1st Century, Norwich, UK, 2012. Plankton response to global change: Is the SW UK representative? , Southwest Marine Ecosystems, Plymouth, UK, 2012. Challenges for managing our seas in a climate of macroecological change , Marine Strategy 2012, Copenhagen, Denmark, 2012. Black Sea Phytoplankton , SCOR 137 - Global Patterns of PhytoplanktonDynamics in Coastal Ecosystems: Comparative Analysis of Time-SeriesObservations Working Group Workshop, Hangzhou, China, 2010. The Continuous Plankton Recorder , SCOR 137 - Global Patterns of Phytoplankton Dynamics in Coastal Ecosystems: Comparative Analysis of Time-Series Observations Working Group Workshop, Hangzhou, China, 2010. How well do ecosystem indicators communicate the effects of eutrophication? , ASLOAquatic Sciences Conference, Nice, France, 2009. How well do ecosystem indicators communicate the effects of eutrophication? , PMSPSymposium: Marine Science for a Changing World , Plymouth, UK, 2009. Changes in the Northwest Atlantic phytoplankton community , GLOBEC3rd Open Science Meeting, Victoria, Canada, 2009. Non-linear effects of climate on Black Sea phytoplankton phenology , GLOBEC3rd Open Science Meeting Victoria, Canada, 2009. Climate exacerbates eutrophication in North Sea , ASLOOcean Sciences Conference, Orlando, FL, USA, 2008. Climate exacerbates eutrophication in North Sea , Marine Institute Conference -Understanding Marine Systems, Plymouth, UK, 2007. A long-term chlorophyll dataset reveals regime shift in North Sea phytoplankton biomass unconnected to increasing nutrient levels , MarineBiological Association Postgraduate Workshop, Dublin, Ireland, 2006. A long-term chlorophyll dataset reveals regime shift in North Sea phytoplankton biomass unconnected to increasing nutrient levels , Biological Sciences Synergy Conference, University of Plymouth, UK, 2006. What value does taxonomy have in modern science and policy? , Promoting Effective Governance of the ChannelEcosystem , Caen, France, 2014. How well do ecosystem indicators communicate the effects of anthropogenic eutrophication? , How can we manage our seas in the real world? Organized by Plymouth Marine Sciences Partnership in collaboration withthe Marine Management Organisation, Plymouth, UK, 2011. How well do ecosystem indicators communicate the effects of anthropogenic eutrophication? , Plankton 2011 : Biodiversity and GlobalChange , Plymouth, UK, 2011. How well do ecosystem indicators communicate the effects of anthropogenic eutrophication? , Oceans 2025 Science meeting, Plymouth, UK, 2010. Climate exacerbates eutrophication in North Sea , Change in Aquatic Ecosystems Conference, Plymouth, UK, 2007. Climate exacerbates eutrophication in North Sea , FP6 European Lifestyles and Marine Ecosystems (ELME) Results Workshop, European Commission, Committee ofthe Regions, Brussels, Belgium, 2007. Climate exacerbates eutrophication in North Sea , Parliamentary Select Committee Inquiry into Science and Technology launch event, Marine Biological Associationof the UK, Plymouth, UK, 2007. Climate exacerbates eutrophication in North Sea , Vice Chancellor’s Research and Innovation Conference, University of Plymouth, UK, 2007. Plankton in parliament:How do the smallest creatures help us protect our seas? , Public lecture atCapturing Our Coast Wine and Science Night, Plymouth, UK, 2016. Plankton in parliament: How do the smallest creatures help us protect our seas? , Public lecture at National Science and Engineering Week, Plymouth, UK, 2014. Public debate: “ Large-scale trends in ocean phytoplankton”. McQuatters-Gollop, A., Worm, B. and Wernand, M. Plankton 2011: Biodiversity and Global Change, Plymouth, UK, 2011. Discussion panel: “Where we need to be: what are the likely challenges?” McQuatters-Gollop, A.,Spicer, J., Brownlee, C. and Barange, M. Plymouth Marine Science Partnershipand the MMO: How can we manage our seas in the real world?” Plymouth, UK, 2011.